When we arrived on the Gold Coast a few years ago, we were encouraged to visit Tedder Avenue in Main Beach for a foodie experience. The strip boasted some of the best foodie outlets we were told. So we decided to go for a walk along the beach and call in for coffee only to be shocked. This once trendy foodie strip next to the beach in one of the more desirable areas of the Gold Coast has been hit hard simply because it and its tenants have failed to keep up with the times. It was a sad experience. At least 10 shops along the strip were up for lease. Others, in the main, were cafes and restaurants which would have been proud to offer their fare in the ‘60’s. The trouble is bad service, average coffee and Tip Top toast really does not cut the mustard any more. Our tastes in food, service and venues has changed – forever. Not that this is a bad thing. The opportunities to make a success are really out there. Main Beach is a high density area of the Gold Coast attracting both long term residents and tourists and there is a real need for a foodie strip in Tedder Avenue and a new fresh take on what is being served is really needed. 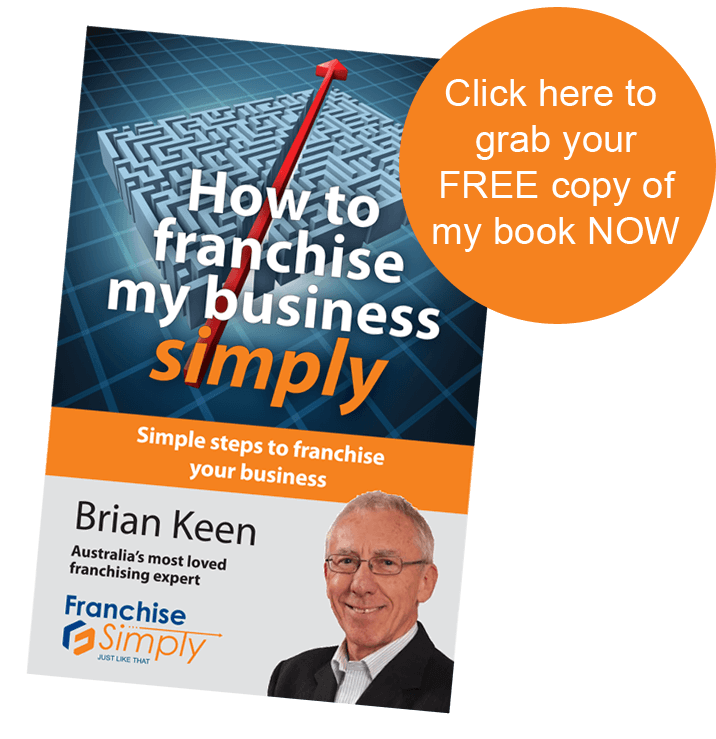 But it’s tired and old fashioned and quite frankly, the international franchise sector is changing to provide what is needed in a fresh way and at a reasonable price in such areas. Without doubt, the media and reality television have been responsible for people understanding more about food. Master Chef and Jamie Oliver have had an influence. People are wanting to know what‘s in the food they’re offered and, in the process, are becoming more discerning. They want local, fresh and quality. There are two more huge contributing elements, first people’s rapid swing to organic, gluten-free and other food categories associated with a healthy lifestyle and second the growing number of people following weight loss programs including adopting trendy health kicks. Associated with these is a groundswell of support for a different style of fast and convenience food. We see clear signs across the whole industry and it’s affecting the big players. Witness McDonald’s new offerings as they struggle to reverse a serious downturn in sales – 15% last year. McDonald’s has been changing for a while now, first with McCafe to cater to Mum so she is more likely to bring the kids in for a treat, then the low calorie options with wraps and fruit and now the flexible burger – ‘Create Your Taste’ invites you to ‘build the one you want’. Probably the icing on this cake is Neil Perry of Rockpool taking on the burger industry. Apparently he really wants to be known for his seriously good $8.95 burger which he wants made available internationally with the motto ‘fast food – slow food values’. One hundred percent Tasmanian grown beef, pickles, sauce in a bun, this burger will take us by a storm. There is definitely a trend towards smaller hands-on, owner operated cafes, run by people who visibly have a true passion for what they serve, similar to the model of the old continental Maître De style. Aziz Elali spotted the opportunity in 2012 and opened his first pizza store, Pizzarazzi, in Hobart in a trendy area patronised by a growing band of foodies. Aziz commented to me that trends are being dominated more and more from the US where exciting new ideas are found in places like San Francisco and New York replicated in a myriad different styles in the small local areas. The future is food vans and small, character-filled, specialist restaurant and café chains. Agreeing with Aziz is Todd McGregor who lived in New York for a while, coming back with the idea of New York Slice, serving good pizza by the slice to late night revellers from popup stalls. In this pizza market, Crust and Capers emerged first and were the trendsetters, but they’ve outgrown their ‘local’ image, allowing the likes of Pizzarazzi and New York Slice to slip under the radar. You’d never think there was room for more pizza, but as Todd points out, the major chains only hold 32% of the market so there’s plenty of scope for the smaller groups to secure a healthy but modest market share. Steve Barker, co-founder of ‘Taps Australia’ have seen an underlying move away from the current ‘everything healthy and organic’ to a more balanced choice of food that’s exciting to the palate. ‘Taps Australia’ has a unique position in the Australian market with their brand of self-serve draught beers accompanied by a ‘Taps’ philosophy of a low key joint for live music American style. People flock to Taps to enjoy the range of craft beers on tap together with a great selection of wines, top shelf spirits and ‘Taps’ Signature ‘Teapot Cocktails’. I saw this years ago with Bushman’s Bakery, which only has a few outlets operating in the NSW Mid-North Coast and hinterland. This family owned franchise group is not looking to grow larger and it serves its regional customers with just the baked goods they want. Similar small franchise groups are becoming the norm in the US. Why? Well it is easier to provide that local and more personal experience when the group is small, the food sourced locally and everyone knows everyone. Expect to see more examples of young, trendy food trucks at an event near you and the food will not necessarily be that health conscious. A US study in the US predicted that the food truck industry in the US will reach $2.7bn by 2017. And for good reason. A truck is much less expensive than a restaurant and the failure rate for food trucks is just 10% (it’s 60 to 90% for restaurants). With the right equipment and great recipes, you can have your mobile eatery up and running in no time. It fits right into the fast food trendy movement with small on-the-ball franchise groups ready to go. I really love the Son of a Bun food truck below – anyone up for that?